I’ve lost count of the number of favorite films I’ve discovered through Turner Classic Movies, the beloved TV network known as TCM, for short. I credit the network with introducing me to practically all of my favorite stars — Cary Grant, Barbara Stanwyck, Fred and Ginger, Myrna Loy. 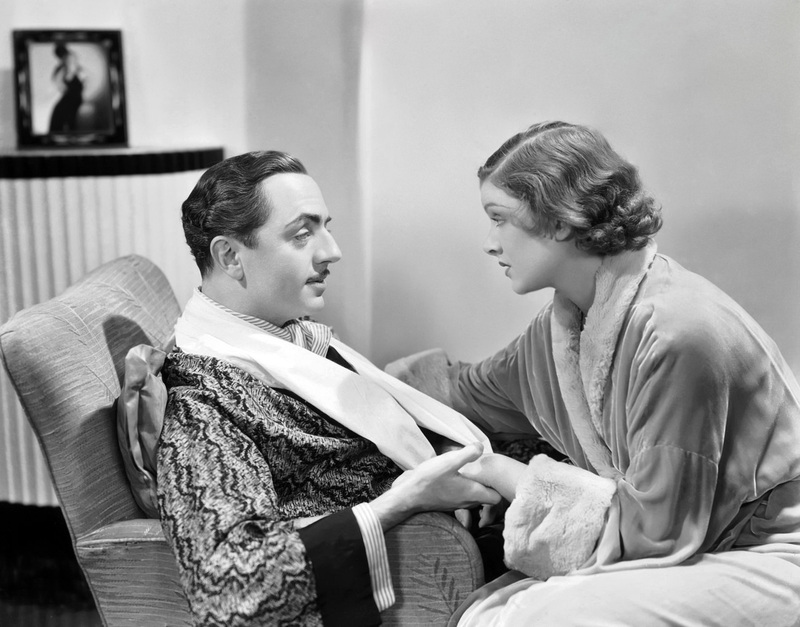 When The Nitrate Diva announced the TCM Discoveries Blogathon a few weeks ago, The Thin Man was one of the first films that came to mind for me. This film and its sequels not only introduced me to Myrna Loy, but Loy and Powell as a screen team. This series also solidified the mystery-comedy as one of my favorite genres, and provided me with a new favorite classic director to add to my list, in the form of W. S. Van Dyke. The Thin Man was such a success that in addition to its five sequels, countless imitators popped up — several of which I’ve also been able to watch on TCM! “Often imitated, never duplicated” is a phrase that definitely applies here, though. Some of them are decent viewing, but none of these copycats are quite as great as the magic originated by Powell, Loy, Skippy, and Van Dyke. 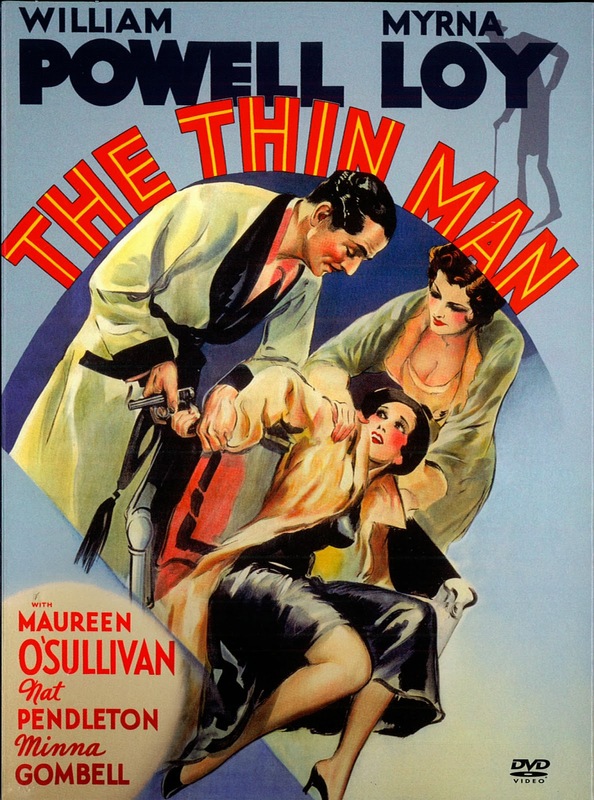 I remember the first time I watched The Thin Man, a film I probably wouldn’t have thought to track down if TCM hadn’t aired it. I’d seen plenty of praise for the film from fellow classic movie buffs around the web, but I was not yet a DVD collector (or a blogger), and at the time relied on TCM for the majority of my classic viewing. Much to my excitement, the first film in the series aired one day, and I happened to be home to catch it. It was love at first frame. When I re-watch the Thin Man films, I often turn to the DVD set, one of the most-treasured additions to my movie collection. On several occasions, though, I’ve been unable to resist watching the films on TCM again. I’m hit by a wave of nostalgia every time I catch these or any other of my old favorites on TCM, reminded of my beginnings as a classic film fan, and all of the wonderful memories I’ve made while watching channel 66 over the years — with friends, with family, or just snuggled up on the couch with my dog. 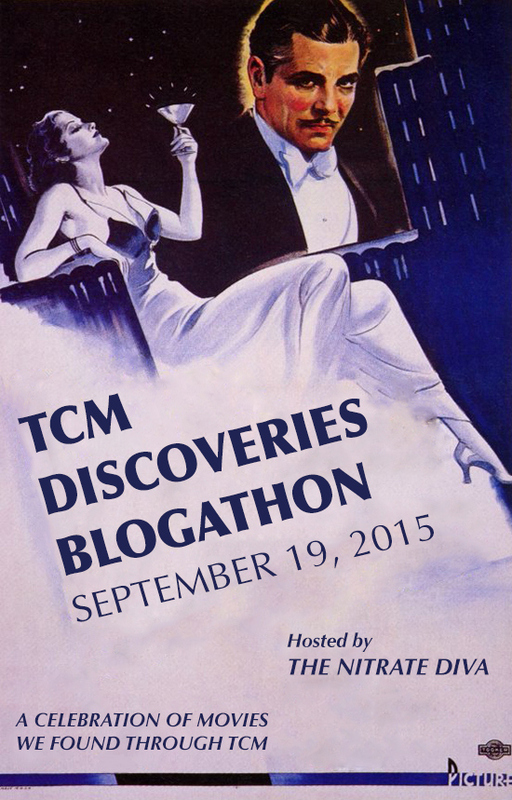 Visit our wonderful host, The Nitrate Diva, for more TCM love! Great subject for a blogathon and I must have missed the boat, but I am a huge fan of Nick & Nora, and they are also TCM discoveries for me. Often imitated, never duplicated is about right. They are still imitated. There may be another opportunity to participate next year! Not sure what the Diva’s plans are but I believe TCM is going to have its own little holiday on September 19 every year. A fun way to celebrate the films, the channel, and the fans. The first time I saw any film in theThin Man series was also on TCM. Just like you, it was my introduction to the beautiful Myrna Loy. Nice post, makes me definitely want to look into that box set that’s been on my wish list for a while now. The box set is definitely worth owning! It comes with a documentary about Myrna and one about Bill, plus several shorts and cartoons. The discs are good quality and each comes in its own plastic keepcase. No complaints from me! I watched The Thin Man on TCM right on my first day of vacation, just after finishing a nightmare called high school. There was no better way to start a new phase in my life. I loved Nick, Nora and Asta from the beginning, and dreamed about living like them! I was also fortunate to find a copy of the book in my own house.